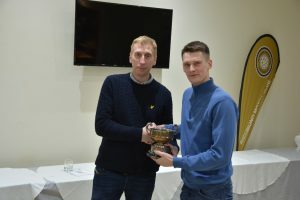 Congratulations to Guy Kendrew for winning the Harold Graham Memorial Trophy for the best ride on the Hard Course and Richard Sadler the Sam Trophy for the 2nd best ride. There was a Debit Card handed into the secretary today, if its yours please contact secretary@richmondmotorclub.com or it will be handed to the police tomorrow. Richmond Motor Club would like to thank the Landowner, Observers, Clerk of the Course and helpers, Secretaries and anyone else involved in the running of today’s trial. 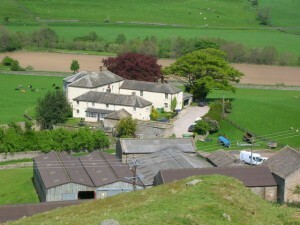 Also thank you to all the riders for entering and taking part on another beautiful day in the dales. 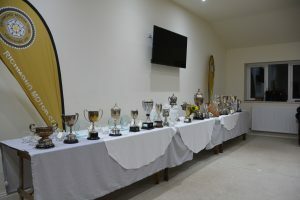 Sunday 17th February sees the first of the Richmond Motor Club 2019 Championship Trials being run at Cogden Hall, Grinton. There will be classes for all ages. 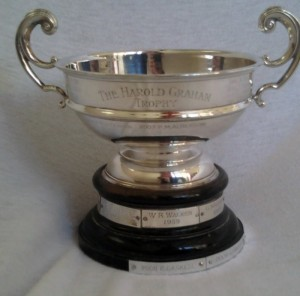 This trial’s results will go towards the RMC Championship awards and there will be the Harold Graham Trophy and Sam Trophies up for grabs to the first and second best riders on the Hard Course. Start time is 10.30am and there will be catering at the start field. Entries close on the day but if you want to get an entry form filled in before hand you can download one here: Entry Form – Harold Graham 2019 This year once again we are offering ACU day licences for those who do not have an ACU licence for £3, available on the day. If anyone would like to observe please email secretary@richmondmotorclub.com if you can help us. We are pleased to announce that our new President is Paul Astwood and our new Chairman is Simon Williamson, who has stepped up from Vice Chair. Andrew Swainston has taken on the supporting role of Vice Chair and Nathan Stones is going to become one of RMC’s directors. We are very happy to welcome some new faces onto the RMC committee as post holders and helpers, as some of us longer standing members (we’ll refrain from saying older!) are wanting to ease off on duties. Thank you to all those outgoing post holders for all your hard work. We are currently in the midst of recruiting some new post holders for administration, treasurer and secretarial duties. We are very excited to have interest from some lovely ladies who are already involved in the trialing world and are going to be a real asset to the Club. Watch this space for updated news on our new recruits. We still have the post of RMC Minutes Secretary vacant and need more people coming forward to offer help with Sports Secretary roles still vacant. If you are interested in helping out with any of these roles, which could be job shared, please email secretary@richmondmotorclub.com. If you feel you can help out in any way at all, please do get in touch. For any Club to continue successfully it needs fresh faces to join in and help and also younger members to step up and get involved with the organisation side. You won’t be thrown in at the deep end, you’ll be shown how to do a job and will have plenty of support. Richmond Motor Club continues to go from strength to strength and we very much look forward to working with our new team members. Finally following on from our AGM last week we are looking ultimately for a Sports Secretary (Generous Honararium is attached to this post) and a Treasurer. Chris would like to step down from some of the current workload! If you feel that you could help at all with either of these roles, please contact secretary@richmondmotorclub.com We could split the Sports Secretary post into smaller chunks if anyone would like to take on part of it. Looking forward to seeing everyone in the 2019 Season! RMC’s Annual General Meeting will be held this Tuesday 5th February 2019 7.30pm at Richmondshire Cricket Club, followed by an Ordinary meeting. As always, all members will be made very welcome and we would like to invite you to come along and have your say about how your Club is run and to get more involved. If you have fresh ideas which you would like the Club to consider, then come along to the meeting and voice your thoughts. The Club always needs and welcomes new helpers and there are a few roles to fill and help out with. For any Club to continue successfully it needs fresh faces to join in and help and also younger members to step up and get involved with the organisation side. Don’t just sit back and talk among yourselves about what you think the Club should or shouldn’t be doing, come to a meeting, offer your help and work alongside us. We don’t bite, you will be made welcome and we will listen to you. Comments Off on Richmond Motor Club Adult Presentation Evening – results!